The debut feature film from director Isaac Julien, Young Soul Rebels is a fascinating look at British culture in the late 1970s. Young soul DJ Chris becomes implicated in a murder. Thei film is set in 1977, during the week of the Queen's Silver Jubilee. 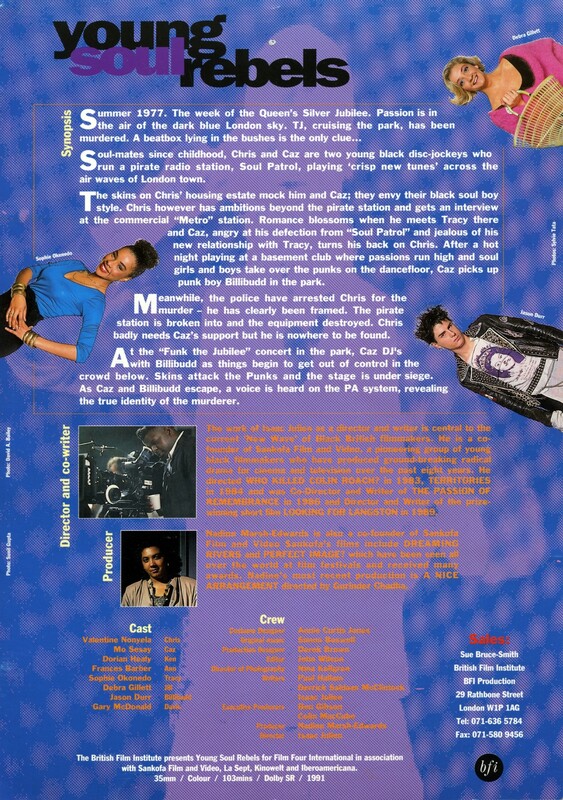 Together with his partner Caz, Chris, a young black London DJ, runs pirate radio station Soul Patrol from an East End garage. When a mutual friend is murdered whilst cruising in a London park, Chris is arrested for the murder. 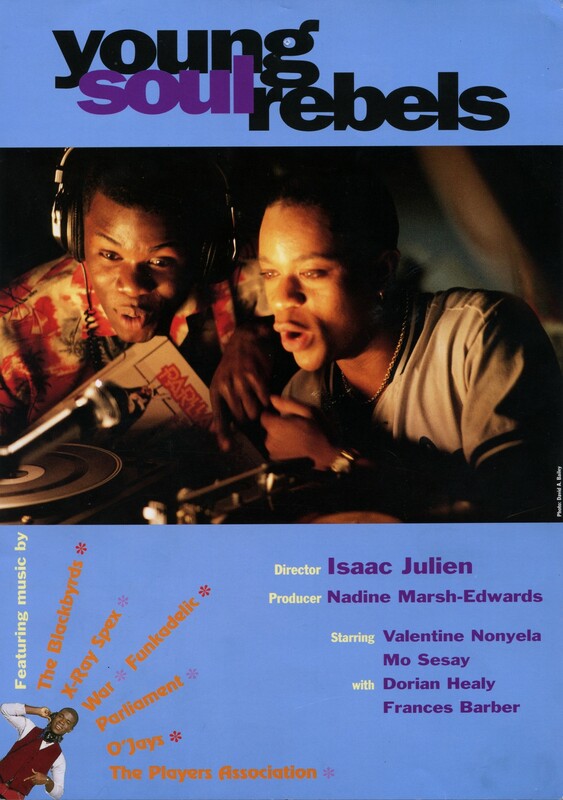 "In a sense, though, Young Soul Rebels is a time machine, and we would do well to inquire as to what exactly Julien was traveling toward, and away from—that is, why the 1970s in general might have offered an intriguing alternative to the 1980s, when the film was conceived, or to 1991, when it would be released. The year 1977 marks a moment prior to the scourge of aids, and, just as momentously, prior to the horror that was Margaret Thatcher. In Young Soul Rebels Julien sought to redraw the significance of the Jubilee in its own era, a signifier not merely of triumphant royalty but of defiant whiteness. It was a moment dominated by increasing racial strife, neofascist strength, punk music, Soul-Funk, pirate radio, and queer emergence."